There are lot many women who struggled for their nation to bring freedom from the Britishers. Some of them didn`t fight but donated their life in social services. Throughout history, most societies have held women in a lower status compared to that of men. From the earliest times, the fact that women were the child bearers helped establishes division of tasks between women and men. The division of labour between women who worked mainly in the home and men who worked outside the home gave men economic superiority. The two also differ physically. Women are on average small and less powerfully muscled. Machinery, however, cancelled out the advantage of male strength and birth control gave women means to regulate their child bearing. But women continued to have barriers to entering many occupations. The rise of women`s movement: Several developments during the late 1700s and early 1800s set the stage for the rise of women`s movement. The thinks of the age of Reason stressed the important of reason, equality and liberty with reference to the status of women. Impact of women`s movement: Contemporary women movements have had an impact on several levels of society and have change people`s views about male and female roles. These changes have affected the work place, the family and the family and the way they lived their lives. Women are increasingly accepting all types of careers. But when we compare the conditions of women all over the world, we find the majority of women`s work opportunities still remain confined within a narrow range of occupations, such as nursing, teaching, retail sales and secretarial work. Furthermore working women throughout the word continued to be the primary homemakers while holding jobs. Attitudes and values: But it has to be admitted that certain broad cultural changes have taken place that reflect new attitudes towards the roles of men and women. They also point to a growing equality between the sexes. Several women have held the highest political office in their countries including Indira Gandhi of India, Golda Meir of Israel, Carazon Aquino of the Philippines and Margaret Thatcher of the United Kingdom. The final outcome of these of these changing has yet to be seen. But it appears likely that the distinction between women`s and men`s roles and the trend towards greater equality will continue. A controversial Russian novelist and philosopher who moved to the US in 1921 and developed a philosophy of individualism she called objectivism (a philosophy for living on the earth). She was born in St. Petersburg, Russia in 1905. Her family was devastated by the communist revolution of 1917. As her father`s pharmacy was confiscated by the soviets, the family moved to Crimea. Later they returned to St. Petersburg where Rand attended the university. At university, she was repelled by the dominance of communist ides and tactics that suppressed free thinking and discussion. Hiving studies Americon history and politics in university she became an admirer of America`s individualism, its vigor and its optimism. After graduating from the university, she moved to the US in 1925 with permission from Soviet authorities. There in the US she wanted to become a screen writer. With the help of a leading director and a great action, she held a variety of jobs until in 1932 she was able to sell her first screenplay Red Pawn`. In1936 her first significant novel we the living was published. Rand`s second novel The Fountain Head, after being rejected by many publishers, was at last published in 1943.it became a best seller. But Rand`s most ambitious novel Atlas Shrugged was published in 1957. It provides a complete expression of her literary and philosophical vision. She believed that self-interest properly understood is the standard of morality. Moral legitimacy of self-interest implies that individuals have to their liberties, their property and the pursuit of their own happiness and the purpose of the government is to protect their rights. Rand believed that our capacity for reason enabled us to survive and flourish. The policies a person should adopt are called virtues. One such virtue is rationality. To act according to reason is the virtue of rationality. One`s life depends on knowing and acting in accordance with facts. Independence and integrity are also core virtue on Rand`s list of core virtues is pride, the policy of moral ambitiousness. This means the policy of being committed to shaping one`s character to the highest level possible. She has been described as the pre-eminent British philosopher of the 20th century. She was born in 1919 in Ireland. She graduated from the University of Oxford. During her first undergraduate year she converted to Roman Catholicism and remained a lifelong devout Catholic. After graduating from the Oxford she had her postgraduate from the Cambridge. As a student and friend of Wittgenstein, she produced the translation of his philosophical works. Her Intention (1957) is considered to be the founding document of modern `action theory`. She wrote on the philosophy of mind, philosophy of action, philosophical logic, philosophy of language and ethics. Her monograph Intention is recognized as her greatest and most influential work. She defended Roman Catholic Church`s opposition to contraception in the 1960s and early 1970s. later in life she was arrested twice while protesting outside an abortion clinic in Britain after abortion had been legalized(with certain restrictions).Anscombe was elected Professor of Philosophy at Cambridge University in 1970, where she served until her retirement in 1986. Anscombe was the first to clearly spell out that actions are intentional under some descriptions and not others. In her famous example, a man`s action (which we might observe as consisting in moving an arm up and down while holding a handle)may be intentional under the description `pumping water`, but not under other descriptions such as `contracting these muscles`. Florence Nightingale was an Italian born nurse who laid the foundation stone of trained nursing as a profession. She is not an unfamiliar name when we talk of reforms introduced in nursing. She was born on 12 may 1820 to wealthy British parents. At the tender age of 16, she realized that she was born to fulfil something special in her. Much against the wishes of her family, she joined the Institution of Deaconesses, a training school for nurses by Protestants in Kaiserswerth in Germany. She also studied in Paris and at the young age of 33, she assumed the post of superintendent in a women`s hospital in London. In 1854, the secretary of was asked Florence Nightingale to take charge of nursing the wounded soldiers in Crimea. On reaching there, she realized that her job was not going to be easy as the hospital was ill equipped. An old Turkish barrack had been turned into a hospital and the place was infested with rats and flies. There were several other problems like shortage of beds, mattresses, bandages and no washbasin, towel or soap. Another problem was water shortage. The water allowance was one pint per head, per for all purposes. She decided to improve the situation and took the matter in her hands. Her first job was to employ few men, who were in better condition, to clean the place. She formulated a proper schedule for care, kitchen and diet. During night, she took long rounds in corridors with lamp in her hand to ensure the wounded soldiers were properly taken care of .soldiers were so touched by her care, love and effort that they called her as `Lady with Lamp`. She prepared reports giving account of the situation and wrote letters asking for supplies. Initially officials and doctors detested it and could not handle what they regarded as female dictatorship. However later they understood her and eventually supported her. When faced with financial constraints, she even used her own money to buy supplies. When the condition of the hospital improved, she even started classes for teaching illiterate soldiers. Her tireless effort and dedicated work met success at Scrutari hospital. This success story spread far and wide and she given the charge of all army hospitals in Crimea. Nightingale`s report to British War Department proved to be a hung success and led to the formation of Royal Commission on Health of the Army in 1857. She also successfully led to the setting up of Army Medical School and a sanitary department in India. She is also credited for founding training school for midwives and nurses in infirmaries and work house. In 1907, she became the first woman to be awarded the order of Merit. Mother Teresa is known throughout the word for her compassion for poor and for the commendable work she did for the slum dwellers of Kolkata. 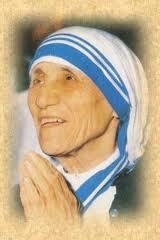 Mother Teresa was born on 27 August 1910 in Yugoslavia parents. Her real name was Agnes Gonxha Bojaxhiu. When she was 12, she felt a strong call of God. Deep in her heart, she had realized she was meant to be a missionary and to spread the message of love of Christ. She left her parents at the age of 18 and joined the Sisters of Loreto, an lrish community of nuns with mission in India. She was sent to India in 1929. In 1931s, she took her vows as a nun and till 1948 she taught at St. Mary`s High School in Kolkata. But she was moved by the plight of crippled and helpless people doomed in poverty and suffering. So, in 1948 she took permission to leave the convent school and devoted herself totally to the working amongst the poorest of the poor slum dwellers of Kolkata. Lack of monetary backing did not discourage Mother Teresa. She believed that Lord would provide and started an open air school for slum children. Soon help came from all sides voluntary helpers joined and financial support came from well wishers. This enabled her to widen the field of work. In 1950, she got the permission from the Holy see to start her own order `Missionaries of Charity`. In 1965, by a decree of Pope Paul vi, `The Missionaries of Charity` was raised to the standard of `International Religious Family`. In recognition of her noble work and service to humanity she received various awards. Indira Gandhi, known in the India history as the first woman prime minister of India, was born on 19 November 1917 in Allahabad. She was the daughter of Jawaharlal Nehru, the first prime minister of Independent India. In 1929, at the tender age of 12, she founded Vanar Sena, the Congress children`s organisation. After the sudden death of Lal Bahadur Shastri in 1966, India Gandhi was elected as the prime minister. She held the office from 1966 to 1977. After India`s victory in the war of 1971 against Pakistan and the explosion of nuclear device in 1974, her reputation rose and she became popular as a national leader with extraordinary political skills and tenacity. The turning point of her political career came in 1975 when the Allahabad High Court declared her election to Parliament as invalid and ordered her to step down. Mrs. Gandhi soon imposed a state of emergency under which political right were abrogated, opposition leaders were arrested, power of judiciary was curtailed and press was placed under strict censorship. In 1977, fresh elections were ordered but her party was badly defeated. Indira Gandhi again came back to power in 1980s with overwhelming majority. Her Prime Ministership is credited with great achievements like nationalization of banks, liberation of Bangladesh, 20 Point Programme of economic and social reforms. Mrs. Gandhi was popular throughout the word as a great leader. The rise of a woman, Indira Gandhi to the highest position in the world`s most populous democracy was especially significant for the Indian women who had traditionally been kept subservient to men. Vijaya Lakshmi Pandit, know in the history of the Indian women as a distinguished diplomat, a politician, leader and the first female President of the United Nations General Assembly. She was born on 18 August 1900 at Allahabad. She was the daughter of Motilal Nahru and younger sister of Jawaharlal Nahru. She played a promi8nent role in India`s freedom struggle and was imprisoned several times. In the Civil Disobedience Movement of 1932, she joined the millions in demonstrating to the government, the resentment against the British rule. During the quit India movement, in the face of firing, she rushed to the crowd, helped the wounded and arranged to carry them to the hospitals. After a long period of imprisonment when she was released in 1943, she joined the famine relief work and wholeheartedly devoted herself to public welfare work. In 1947, she was appointed as the ambassador to the Soviet Union and the ambassador to the United States in 1949. She was also appointed as the Indian High Commissioner to Britain. In 1955she became the ambassador to Ireland and the ambassador to Spain in 1958. She continued holding both the pasts from 1958 to 1961. Between 1946 and 1968 she also headed the Indian delegation to the United Nations. After her various ambassadorial assignments she became the governor of Maharashtra from 1962 to 1964 and served as a member of the Indian Parliament from 1964 to 1967. In 1977 she opposed the imposition of Emergency by her niece, Indira Gandhi. She actively campaigned for the Janta Party and the fall of Janta Party left her bitter. In 1979 she was appointed the Indian representative to the UN Human rights Commission (UNHRC), after which she retired completely. Her well known works include The Evolution of India (1958) and the scope of Happiness: A Personal Memoir (1979). Pritilata was a revolutionary nationalist for she believed that India should win her freedom at all costs. She was born in 1911 in Chittagong to a lower middle class family. Her father worked in Chittagong Municipality as a clerk. It was her courage and determination that made her passes the matriculation examination in the first division in 1927. Two years later she graduated from Kolkata. Since her school days, she participated in revolutionary activities and became a member of one or another secret society. After graduation she assumed the job of headmistress of a local English secondary School. In the 1930s. Chittagong was suitable for revolutionary activities, as there were several revolutionary groups. Pritilata strongly believed that the time had come for women to take equal participation in these activities. One of her brothers involved in these activities, introduced her to Surya Sen. the famous revolutionary activist. He accepted her as the first women member of his revolutionary group. She was given various secret responsibilities such as destruction of telegraph and telephone office, capture of the reserve police line etc. In 1930, she was entrusted the task of meeting a political prisoner, sentenced to death. There was confrontation with the police, but Pritilata and Surya Sen were able to escape and had to go underground. In 1932 Surya Sen planned an attack on a European Club which carried the derogatory sign `Dogs and Indians not allowed`. Pritilata was assigned to lead a team to attack the club on 23 September 1932. It was successful but proved to be a fateful night for Pritilata. She was trapped without a way to escape. She committed suicide by swallowing cyanide. Her sacrifice for the freedom struggle of India remained a constant source of inspiration for revolutionaries. A revolutionary at heart and belief, Kalpana Dutta actively carried out revolutionary activities to express the resentment against the British rule in India. She was born on 27 July 1913 in a middle class family. In 1929 she matriculated from Chittagong. Revolutionaries like Khudiram Basu and Kanailal Datta were her idols. She also joined chattra Sanggha. Soon she became part of the revolutionary circle of Surya Sen.
After the Chittagong Armory Raid on 18 April 1930, Kalpana came back to Chittagong and contacted Surya Sen was given the responsibility of carrying heavy explosive materials from Kolkata. She had also planned to free the revolutionary leaders who were being tried in special Tribunals. But her plot was discovered and restrictions were imposed on her movement. However, she visited Surya Sen regularly and carried on her training session. Kalpana Dutta along with Pritilata was given the task to attack the European Club. Kalpana was arrested a week ago the before the plan could be executed. She went underground after being released on bail. In 1933 she was again arrested along with her associates. She was released in 1939, when she did h her graduation from Calcutta University. Later she went back to Chittagong and organized the Kisan`s and women`s fronts of the party. She resigned from active politics in 1947 and died on 8 February 1995 in New Delhi. Cornelia Sorabji was the first female India barrister, social reformer and writer. She was born on 15 November 1866 at Nasik. In her childhood, she received education from mission schools as well as from her missionary father. She became the first women to attend the Deccan College in Poona and subsequently became the first female graduate in western India. Largely due to the petitions of her English friends, Sorabji was allowed to sit for examinations in Bachelor of Civil Law. Even though she passed, Oxford refused to allow women into the law degree unit 1919. She had to wait for 30 year, to receive it in 1922. In 1894, she returned to India and got involved in social and advisory work on behalf of the women, who were confined to purdah. Sorabji obtained special permission to provide legal help and enter pleas on behalf of women with property. However, she was unable to defend them because she had no professional standing as per the Indian Legal System. As such Sorabji appeared for the LLB examination of Bombay University in 1897 and pleaders examination of Allahabad High Court in 1899. It was not until the law which barred women from practicing law changed that she was recognized as a barrister. By 1907, Sorabji was working in provinces of Bengal, Bihar, Orissa and Assam and helped over 600 women and orphans to fight legal battles. After 1924, when the field of law was opened for women in India, Sorabji began practicing in Kolkata. She did a great deal to promote the movement to reform Hindu laws regarding child marriage and the position of women. For her social services, she was awarded Kaiser-i-Hind gold medal in 1909.As a legal activist and social reformer she wrote many books and stories. Mithan J. Lam was one of the first Indian women to qualify as a Barrister-at-law and was the first Indian women lawyer at the Bombay High Court. She was always moved by the plight of poor and needy people. For helping the underprivileged and neglected women of India, she started classed. This compassionate and highly intelligent lady was born on 1898. She graduated from Elphinstone College, Bombay and took her M.Sc from the London School of Economics. She also qualified as a Barrister of Law from Lincoln`s Inn. She was a great believer in women`s right and the courage to fight for it. Later inspired by Sarojini Naidu`s ardent speech, she went to England as a representative of the Bombay Women`s Committee of Social Workers to give evidence before the Commission on Indian women. Two years later First Indian Reform Bill enabled the Indian women to vote. After returning to India, she joined the Bombay High Court but was forced to work alone as her male colleagues were resentful of her. It was strange and difficult for them to accept that a woman could work as a lawyer. The Maharashtra Government appointed her as a special Executive Magistrate. Later she amended the Parsi Marriage and Divorce Act of 1865. Later she retired from her profession only to devote her time for social work. She wholeheartedly worked for the upliftment of women. She took part in several International Conferences in different parts of the world. She was also awarded Padma Bhshan for her commendable work in field of social service. She is remembered in the history of India as one of the first female graduates of the British Empire and the female physician of south Asia to be trained in European medicine, Kadambini Ganguly was an extremely talented lady. She was born at Bhagalpur in Bihar in 1861. Her father was a headmaster of the Bhagalpur School and a well known Brahmo reformer. He along with another friend started the women`s emancipation movement at Bhagalpur. She is also credited for being the first women to pass the University of Calcutta entrance examination in 1878. She along with another woman became the first graduates from the Bethune College as well as from the country. She then joined the Calcutta Medical College and was conferred a GBMC degree in 1886 (Graduate of Bengal Medical College). Thus, she became well known as the first Indian women doctor to practice western medicine. Although she had to face opposition from the teaching staff and the orthodox section of the society, but she overcame them successfully. In 1892, she went to the United Kingdom and returned with LRCP (Edinburgh), LRCS (Glasgow) and GFPS (Dublin). She worked in Lady Dufferin Hospital for some time and later started her private practice. She along with her husband, Dwarka Nath Ganguly was actively involved in the upliftment of women and in improving the conditions of female coal miners of Bihar. She was in fact one of the six female delegates of the fifth session of the INC in 1889. Her personality can be rightly summed up in the word of American historian, David Kopf, ``Ganguli`s wife, Kadambini, appropriately enough the most accomplished and liberated Brahmo woman of her time``. Dr. Muthulakshmi Reddy was one of the most remarkable women of her time. She was not only an eminent doctor but also a social worker. She was born on 30 August 1886 at Pudukottai in Tamil Nadu. She was taught at home, as in those days girls were generally not sent to school. She successfully passed the matriculation examination in 1902. Her thirst for knowledge, courage and constant support of seniors helped her to reach the Madras Medical College. With several gold medals to her credit, she passed out in 1912 with flying colours and created the record of being the first women doctor in Tamil Nadu. She was also an Assistant Professor at Madras Medical College. After she lost her sister to cancer, she decided to do research on cancer, which was pursued in Royal Cancer Hospital, U.K. she worked with the overwhelming support of the people to establish a hospital for cancer patients. It started working from 1954. It was first of its kind in south India and second in India. She was also active in several other arenas. She was elected to madras Legislative Council and became the first women to be nominated. She was also the first alder women of the Madras Corporation. She was also laid the foundation of the Indian Women` Association. She was also engaged in the liberation of devdasis despite the opposition faced from all quarters. Finally, with the support of Mahatma Gandhi she was able to abolish the devdasi system in 1929. She also wrote a book named My Experience as a Legislature. The book recollects her experience as a legislature and describes the social reforms taken up by her. Padma Bhushan was conferred upon her in 1956. Rani Lakshmi Bai, also well known as Rani of Jhansi, was one of the greatest nationalist heroines and a true soldier of the First War of India`s Freedom. She was born in 1835 at Kashi (Varanasi). Her childhood name was Mannikarnika. Right since her childhood she laked to practice with sword. At the tender age of 7 she was married of Maharaja of Jhansi, Raja Gangadhar Rao. She gave the name Lakshmi Bai when she became the Rani of Jhansi. In 1851 she gave birth to a son but the child died after four months. After this, they adopted Damodar Rao as their son. Unfortunately, the Maharaja Gangadhar Rao died in 1853, leaving Rani Lakshmi Bai all along. Rani was just 18 years old, at this time but she did not lose courage and determination. She had realized that she had the responsibility of looking after the kingdom. Lord Dalhousie, the then Governor General of India refused to accept Damodar Rao as the legal heir of Maharaja. Lord Dalhousie was determined to extend direct rule over as large an area as possible. For this, he used the policy of Doctrine of Lapse. Under this doctrine, if a ruler died without a natural heir, his kingdom would be taken over by the Company. It was under this policy that Jhansi was annexed. Rani Lakshmi Bai refused to give up Jhansi and started strengthening the defence of Jhansi Fort. She assembled a volunteer a volunteer army. Rani accompanied by her brave warriors was ready to fight the British. Even the people of Jhansi were ready to give their lives for this cause. In March 1858, the Britishers attacked Jhansi. The Rani with her faithful warriors gave a suitable reply with guns. Rani herself supervised the defence of Jhansi. The women were supplying ammunition and food to the soldiers. She also took arms. After two weeks of fighting, Jhansi fell to the British forces. When the situation went out of control, the Rani with some of her warriors shifted to Kalpi. Here she was joined by Tatia Tope. Again she had to move to Gwalior. Rani fought bravely but on the second day of fighting, the great soldier died on the battlefield at the age of 22, on 18 June 1858. She was born on 24 October 1914 in Madras. Her father was a leading lawyer at the Madras High Court and her mother was a freedom fighter and an ardent supporter of women`s rights. In her young days, Lakshmi participated in several national programmes. In 1938, she received the MBBS degree from the Madras Medical College. In 1940, she can Singapore and established a clinic especially to serve the poor people. In 1942, the British surrendered Singapore to the Japanese. She worked hard in serving the prisoners of war. In the process she came in contact with many Indian prisoners of war, who were considering the Japanese proposal of liberating India by forming an Indian army. She argued in its favour and was part of the deliberations which led to the forming of INA. Subhas Chandra Bose came to Singapore in 1943 and spoke of his determination to raise a women`s regiment, the Rani of Jhansi Regiment which would also fight for India`s freedom just like other regiments. When her name was proposed, Subhas Bose met and handed her the responsibility of leading the women`s regiment. Within a short span of time a well trained fighting force of recruits was ready. The women`s regiment fought bravely and `Captain Lakshmi` played the role of competent doctor and a brave soldier. When INA personnels were hunted by by victorious troops, she saved many lives. She was later captured and brought to India on 4 March 1946. She received a heroic welcome on her land and had to be released due to her popularity. After her release, she campaigned for the release and rehabilitation of the INA personnels as well as for India`s independence. In March 1947, Lakshmi Sahgal married Colonel Prem Kumar Sahgal, personnel of INA and settled down in Kanpur. Even in Kanpur she started working for the poor and slowly became a legendary figure. In 1998, she was conferred Padma Vibhushan by the President of India. Margaret Noble was of lrish but left Ireland to take up a nice job in London. It was her in London she met Swami Vivekananda in 1895. She became so inspired with the teachings and vision of Vivekananda that she forsook her career in England and travelled to India in 1898. Swamiji gave her the name `Nivedita`. It means one who is dedicated to God. In India, Sister Nivedita completely got adsorbed in Indian culture, serving the India people and living the Hindu religion. She also started a school for girls and worked to improve the lives of the Indian women. In March 1899 a devastating plague broke out in Kolkata. She plunged into action sweeping the streets and cleaning the drains. The Bengali youths who used to look upon scavenging as a dirty work, just sat and watched for a while and then came to the aid of their beloved sister. Thus, Nivedita literally saved hundreds of victims from the very jaws of death. After the passing of Swami Vivekananda, she becomes increasingly committed to the plight of Indian independence. She frequently risked arrest. Her house became a meeting place for the politicians. She also worked tirelessly for the amelioration of the plight of Indian women. She tried her utmost to improve women`s education and the condition of Hindu widows who were often condemned to a life of poverty. She lived amongst the poorest and the most disadvantaged section of the Indian society. For her wholehearted acceptance of the Indian cause, she was widely admired by the Indian population. She was one of the most remarkable Indian women. She is remembered even today for her social work, sacrifice and for establishing and nurturing `Andhra Mahila Sabha` for educating, training and rehabilitating the helpless women, children and disabled persons. Her innate talent, leadership qualities and confidence helped her in overcoming all hurdles to achieve her objectives. She was born on 15 July 1909 in Rajahmundry to a middle class family. Due to social conditions she was unable to pursue higher education. She was only able to learn Telugu and Hindi. Due to her sheer willpower, she learnt English in her later 20s and went on to become a lawyer. Her interest in the freedom movement took shape after she met Mahatma Gandhi. As a volunteer, she joined Rajendra Prasad, Madan Mohan Malviya, Motilal Nehru, Sardar Patel and other stalwarts travelling all over the country to raise popular awareness about the freedom movement. Durgabai later on became a member of the Constituent Assembly and the Planning Commission. Her Andhra Mahila Sabha had started running nursing homes, hospitals, schools, colleges fulfilling the long felt needs of the people around. It became a symbol of women`s service and she became the epitome of social service. As a member of the Parliament she worked to awards including Padma Bhushan and the UNESCO award for outstanding work in the field of literacy.